OK, here we go. It has been some time since I released a serious piece of music. This is serious. 8 tracks, somewhere in between of electronic and chipmusic. The topic of it is >>SPACE< < and I hope that I met it with all tracks. I had the two weeks around the Easter holidays off. So I spent my time with some useful things. Tidying up my apartment, cleaning my bathroom (no comment on that) and of course making music. It has been a loooooooooong time, that I didn‘t make any new stuff and I really enjoyed it just to sit in front of MadTracker and put in note after note into my computer. Well, it all started on Easter Sunday and after that I was in a rush. The following days I produced 5 songs. 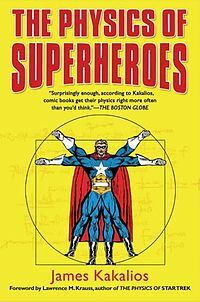 And I didn‘t want to make the same mistake I did with „Tweakological Techniues“ so I released it when I had enough material. And that was on Saturday. Of course I not only took the 5 tracks but also 3 older tracks I made many months ago and that totally fit the sound-concept of the album: 8-bit-percs, chip-melodies and crazy voice samples. But I also had some problems with some tracks: first of all „We Like To Bounce It“. When I finished my version of the song it was some sort of boring. I sent what I had so far to FoX who also played the guitars on „Alter Ego“. He sent his overworked version back to me in less than 12 hours. You can listen to the result in the lower app in this blogpost. 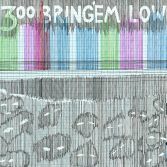 Then a small but nevertheless great EP we released in 2009 as far as I remember. „ektodermis/ektodermis“ originally was released on Pixelmod Records, but I wanted to give it a better platform. you know this whole Pixelmod project didn‘t turn out the way I expected. Well… anyways, ENJOY!! Some months ago, Naomi Sample and his band started a remix-project. I wanted to remix one of their songs and even did a short melody line… but eventually forgot about that whole thing. Some time later, it must have been this summer, I found that melody line among my unfinished tracks and started working with it. I made a simple bassline, some real basic beats and some synths but everything felt incomplete and naked. So I asked a friend of mine (FoX) to add some guitar sound to it. I was worried because the song already was far away from every chipmusic standard I set up for myself so far. It turned out to be very electronically even though the kickdrum and the bassline were chip. But I thought, why not make some more song in a less „chippy“ way??? So here it is, „Alter Ego“. Have fun. Yes, I‘m still doing music besides all my interests. Here is the latest results of my work. The new album I did with my co-op partner FoX from Cologne. The sound is a little more electronic than it was on „Cacophonetic“ our last album. We started producing the first tracks back in 2008 and finished the last one just yesterday. We felt that it was time to put this thing out finally. So here it is, check it out, don‘t miss it. And so on. 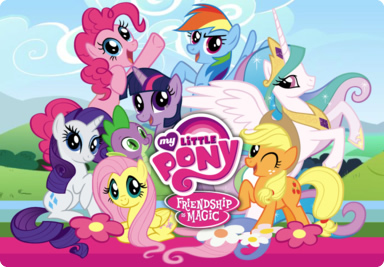 Also on this album: a great remix of a great song. 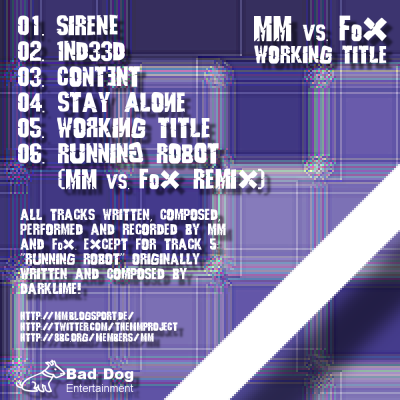 We remixed Darklime’s „Running Robot“ which is on this album as a bonus track!!! And don‘t forget to follow the little red UFO!!! Since the easter silence I thought it was good to bring some power back to this blog. So here it is, my 2010 RPM album „Who Are You? And Why Are You On TV?“ 10 tracks of great chip-trance, electro-goodness and actually the first MM album that contains sung vocals by me. there are all the lyrics contained as well as some liner notes and the awesome cover artwork by Martin Schemitsch. Yesterday I had the first session with FoX for our upcoming album. we were checking some loops and samples and putting some ideas together and in the end this little song happened. first it will be finished for the upcoming Tiefbit compilation. 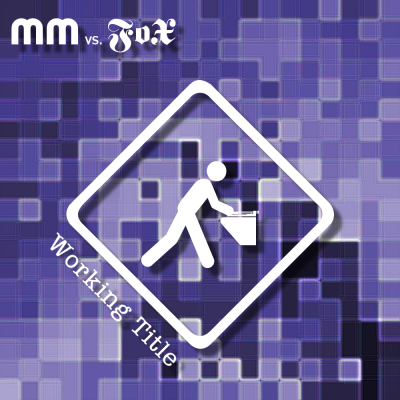 After that it will be an album track for the next MM vs. FoX album „Working Title“. 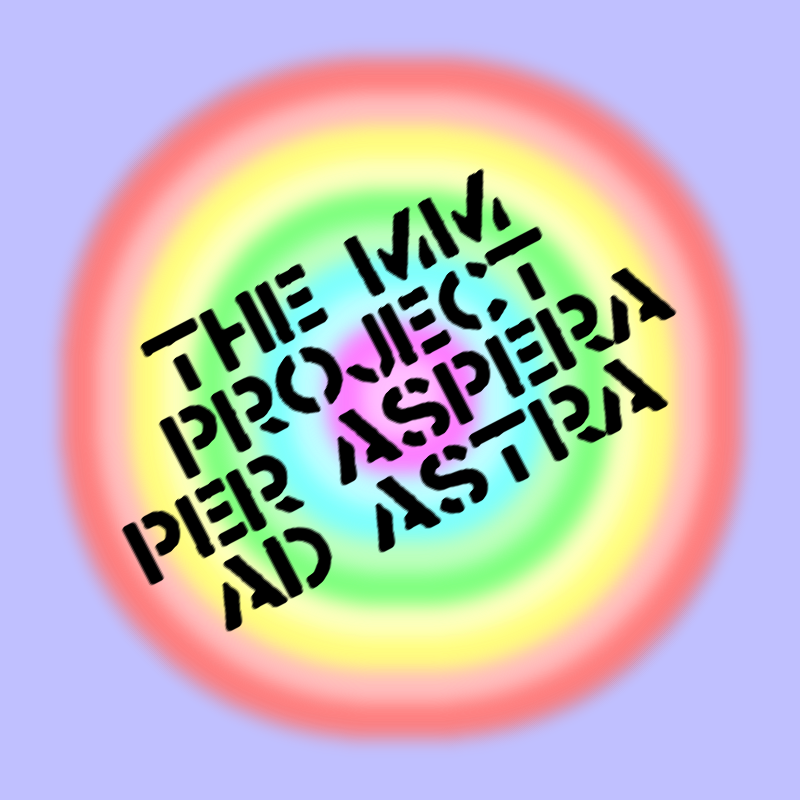 Du browst gerade in den The MM Project Weblog-Archiven nach der Kategorie 'Releases'.